Give's online reports can be sorted by income, forms, and donors. Detailed reporting helps you make better financial projections. Give’s reports section allows you to view—not just data—but a graphical representation of the performance of your donation forms. This section allows you to drill-down into your donation data and includes the ability to export report data to use elsewhere. Get a complete overview, export data, filter reports, and measure performance across multiple campaigns. ...viewing the reports is dead simple and even those who don’t have many technical skills can access that information easily. Get a complete overview of your donation activity immediately when you begin accepting donations right within your WordPress admin. Customize report dates, filter by donation forms, and further optimize your campaign. Easily export your donation data by different metrics. 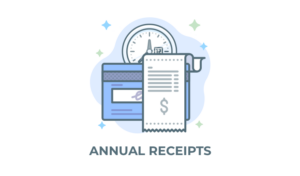 You can export PDFs or CSV files of your total income or donation and donor activity over time based on customizable date ranges. Communicate campaign success to your nonprofit board with advanced reports. Filter reports based on donor, view donations per donation form, donor activity, or breakdown of payment methods. Gauge which forms are performing the best across your website and which campaigns resonate with your donors. 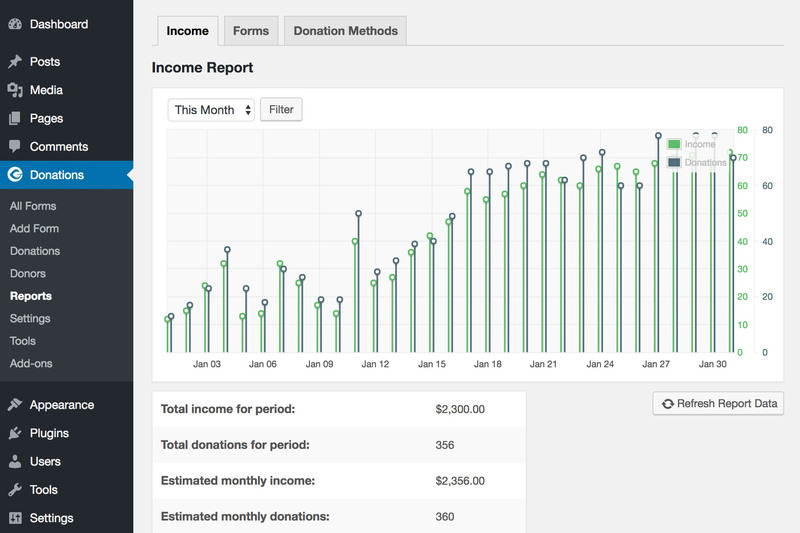 You’ll see donation forms listed by income, the number of total donations, and estimated monthly donation average.